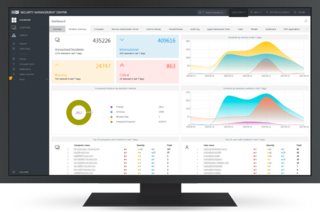 Manage your company IT security from a single web console. Ensure business continuity, minimize downtime and benefit from ESET's light footprint and flexible licensing. 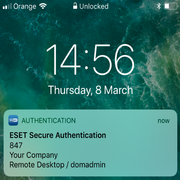 ESET Security Management Center provides a real-time overview of all your on-premise and off premise endpoints via an enterprise-grade console. Benefit from full reporting and security management for all operating systems. ESET has been winning industry awards for complete endpoint protection for more than 20 years. We’ve achieved an industry first by winning one hundred VB100 awards for malware detection. Our convenient and easy to use multi-platform, antimalware security comes with web control, firewall and anti-spam filter. Benefit from light-on-your-system, advanced layers of protection for endpoints and networks. 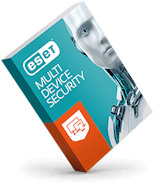 ESET's multilayered technology allows you to detect and react to cyber threats fast and effectively. Check out our advanced technologies. This technology monitors and evaluates applications and processes as they run. Any that trigger reputation warnings or display suspicious behaviour are detected and blocked – and you are alerted. Our custom-built global detection system receives data from 110 million sensors worldwide. ESET LiveGrid® gathers signs of emerging threats in order to detect and block them before they strike. ESET's proprietary engine uses the combined power of neural networks and specially designed algorithms to identify samples as clean, potentially unwanted or malicious. Register your company with ESET Business Account to get a free 30 day trial license for ESET Endpoint Protection Advanced Cloud (incorporating ESET Security Management Center) for up to 25 seats. 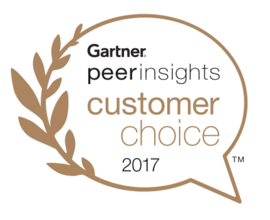 I would definitely recommend ESET to other companies based on performance but also the support too, which is great. I think the manageability is the best you can get.